What is it about three? Who knows? But many attest that both bad things and good things come in threes. From Multiplication Rock we know that "Three is a Magic Number." 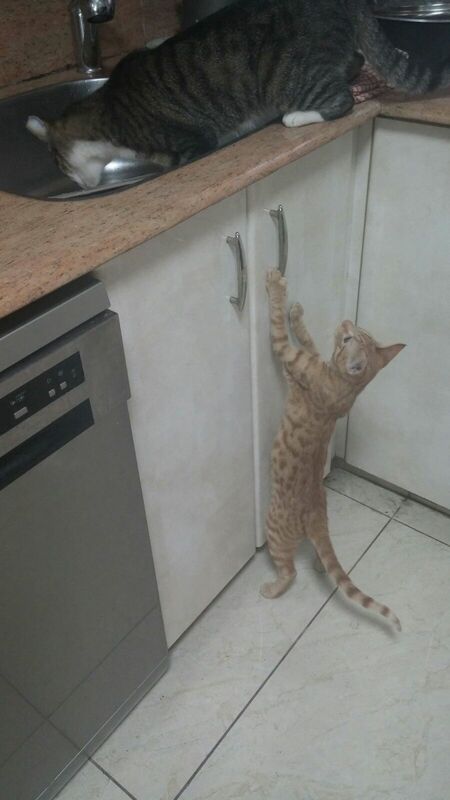 And Meatloaf knew that "Two Out of Three Ain't Bad." 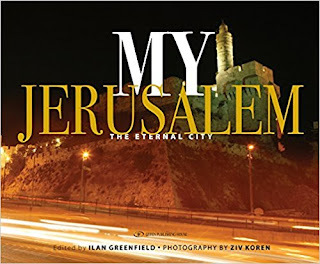 I had two errands near the Jerusalem Central Bus Station, and since I was in the neighborhood, I decided to arrange a visit to Gefen Publishing. I was able to return my old router to the telephone store (why the guy who delivered the new one couldn't take back the old one is another story), but I could not donate blood at Magen David Adom because my kitten had scratched my hand. But, unlike Meatloaf, I found the metaphorical "ruby in a mountain of rocks" in a beautiful old building behind the bus station. Gefen Publishing was founded by Murray Greenfield, whose colorful life including making aliyah in 1947; transporting Jews to Israel from Europe and Cyprus on "rust bucket" boats and breaking the British blockade; serving as Executive Director of AACI; and working to encourage investment in Israel. 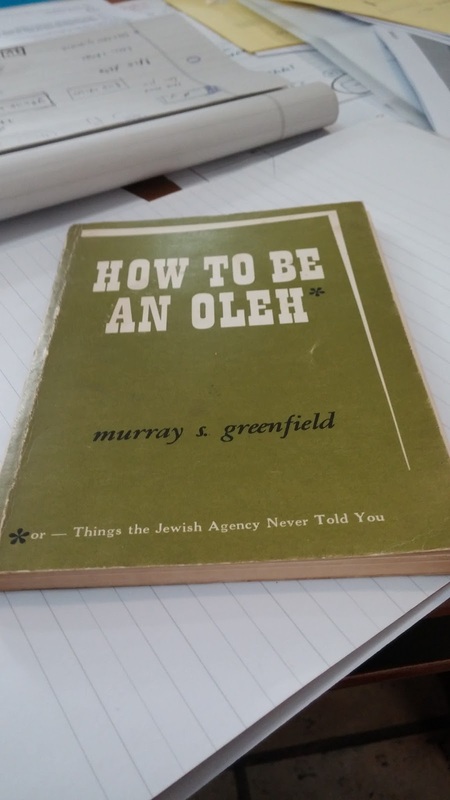 In 1973, Greenfield wrote a book, How to Be an Oleh, but no one wanted to publish it, so he ended up publishing it himself. The book sold 50,000 copies and provided guidance for new immigrants to Israel, especially about housing and finances. 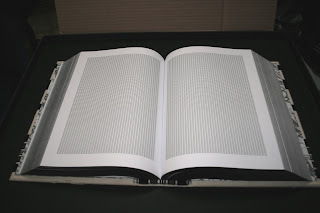 From there he took on typesetting jobs and officially started the publishing company in 1981. Since then, more than 700 books have been published. I enjoyed a lively conversation with Murray's son, Ilan, the current CEO, about Gefen, Jewish books, and publishing. Gefen's mission has always been to "export Israel" and provide a variety of books about the Jewish experience including history and the Holocaust, books about Jewish communities of the past in Spain and Lithuania and communities in Ethiopia and elsewhere, biographies, books about all aspects of Israel including art and culture and the Israeli military. We spend a lot of time talking about probably the most significant book Gefen has published to date -- And Every Single One Was Someone. This unusual volume is a memorial to the Holocaust and sort of an art book, with the word "JEW" appearing 6 million times over 1,250 pages (4,800 Jews on every page). It has been reviewed in the New York Times, been presented to American senators and congressmen, and others have bought books in multiples of hundreds to give to Jewish leaders and libraries. 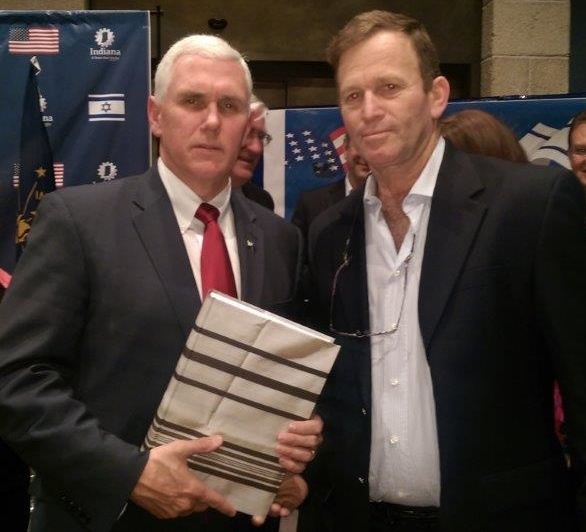 Ilan Greenfield presenting the book to Vice Preseident Pence. Combining exquisite photography and reflections from a variety of luminaries that includes Israeli politicians, rabbis, pastors, and Jewish leaders and scholars, My Jerusalem, is a stunning tribute to all the places and people that make it the most beautiful city in the world. 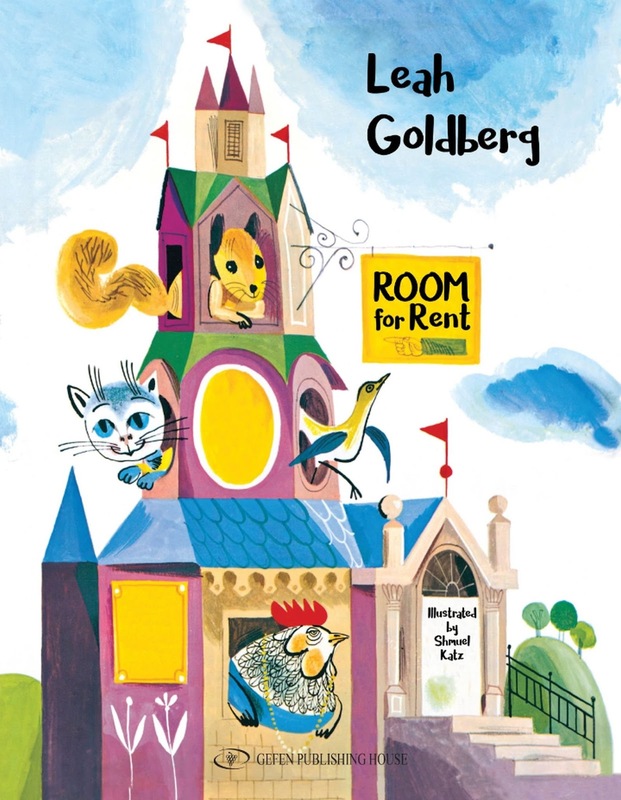 Room for Rent is the new English translation of the classic Israeli children's book, Dira Lehaskir. The adorable story of four animals looking for a new housemate is told in rhyme, and while there is no overt Jewish or Israeli content, there are some great lessons in judging others and friendship. For this nit-picky reviewer, the translated rhyme is genius, and the vintage illustrations are absolutely charming. For those who cannot visit Gefen in person, their books are available through Amazon and Book Depository.